July 23rd, 2012: Skip and I are getting smarter about getting out of the midday heat. Who knew how much I’d come to love air-conditioned convenience stores? 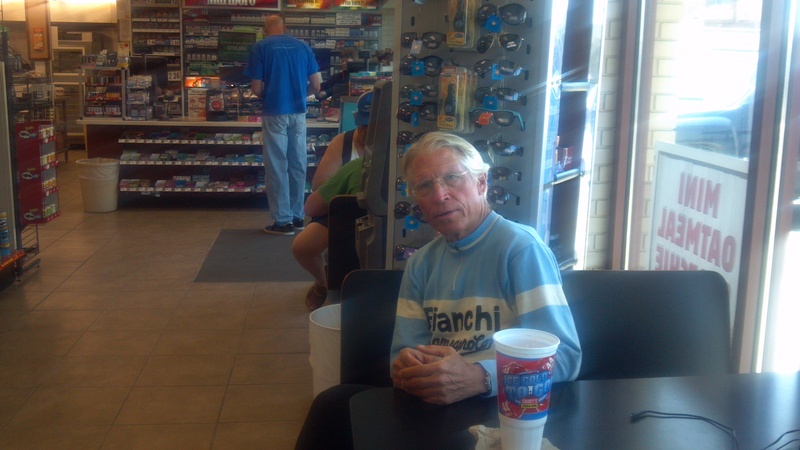 Skip realizes it makes sense to chill out but you can see he’d still rather be cranking out the miles! We have begun interspersing convenience stores with museums and libraries. We spent 4 hours here – the only visitors the whole time. We had a private tour, shared coffee break and free cookies! 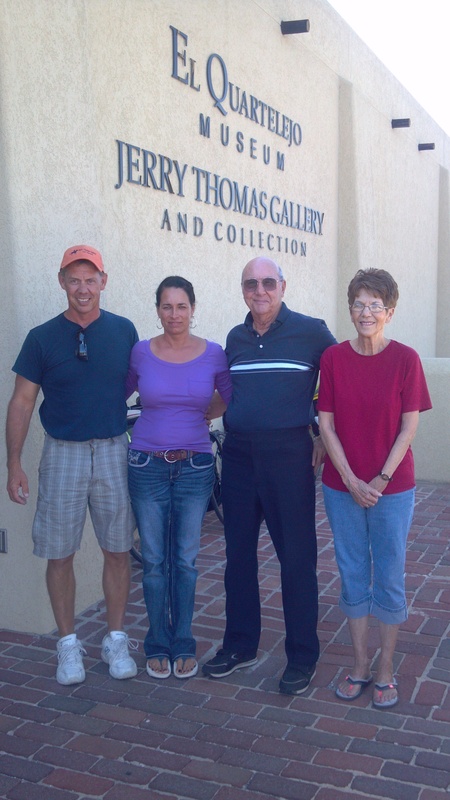 with the staff, and met local artist Jerry Thomas (at left) who has an extensive gallery here. Many thanks to Rachel for keeping us all informed! that’s my kind fo rest stop!